When did John Cusack become the King of Direct-to-Video Movies? I don’t know, but it feels like he appears in half the non-theatrical films I see – and Bruce Willis stars in the other half. 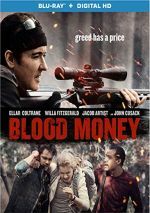 Cusack pops up again in 2017’s Blood Money. As they embark on a trek through the wilderness, three friends encounter massive amounts of cash and they attempt to abscond with it. It turns out white-collar criminal Miller (Cusack) stole the money and wants to get it back from them. This leads to a violent chase along with conflicts among the friends, as greed infects their relationships. If nothing else, Money provokes some intrigue due to the presence of Ellar Coltrane as Victor, one of the three young friends. Best-known for 2014’s Boyhood, Coltrane has acted since his breakthrough – he played a supporting role in 2017’s The Circle - but Money comes closest to a lead role. I thought Coltrane showed little real acting skill in Boyhood, which makes me more curious to see how he develops as an actor. His performance in Money doesn’t mark him as a great talent to watch, but Coltrane also doesn’t embarrass himself, as he offers a competent performance. At least he comes across better than poor Willa Fitzgerald as the film’s token female character. She gets a thankless part as the angry lady stuck in the middle of a love triangle, and she makes Lynn an awfully unpleasant personality. Sure, the script dictates much of this, and the movie does try to soften her personality along the way, but it doesn’t work. We need to bond with and care about Lynn, but we don’t. Really, Miller becomes the only moderately interesting personality here, as Cusack offers a surprisingly crisp performance. Cusack tends to sleepwalk through a lot of these direct-to-video efforts, but he shows some verve and spark here. Cusack can’t redeem the mediocre script, though. We get no real build in tension, as the three friends seem antagonistic from the start. Sure, the love triangle dynamic contributes to that, but we simply never get a reason to connect with the parts, and the film fails to generate a real trend toward a "boiling point”. It lacks good development and energy. Admittedly, I’ve seen less interesting thrillers, and at least Cusack adds occasional life to the proceedings. Still, Blood Money never threatens to turn into a particularly engaging effort. Blood Money appears in an aspect ratio of approximately 2.40:1 on this Blu-ray Disc. This turned into a strong image. 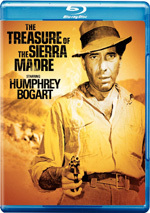 Colors tended toward a low-key teal bent much of the time, and the Blu-ray depicted these well. The palette didn’t sizzle, but the hues seemed well-rendered within the design choices. In addition, the film’s DTS-HD MA 5.1 soundtrack worked quite well, as the mix brought the variety of natural settings to life. Rivers and other environmental bits filled the spectrum nicely, and various action beats – guns, aircraft, cars – used the five speakers in a dynamic way. Blood Money Uncovered runs 15 minutes, 26 seconds and offers notes from producers David Buelow and Lee Nelson, raft guide Eric Neff, and actors Jacob Artist, Ellar Coltrane and Willa Fitzgerald. “Uncovered” looks at story/characters, cast and performances, sets and locations, the director’s work on the set, and related areas. “Uncovered” focuses on fluffy talk. We get a few decent shots from the production, but the comments lack insight and tend toward praise, so this becomes a forgettable featurette. The disc opens with ads for Acts of Vengeance, Shot Caller, Armed Response, The Hunter’s Prayer and Cell. No trailer for Blood Money appears here. As a thriller, Blood Money lacks a lot of impact. A few elements connect but the overall package feels limp. The Blu-ray boasts very good picture and audio along with minor bonus materials. I’ve seen less effective dramas but Blood Money remains generally lackluster.